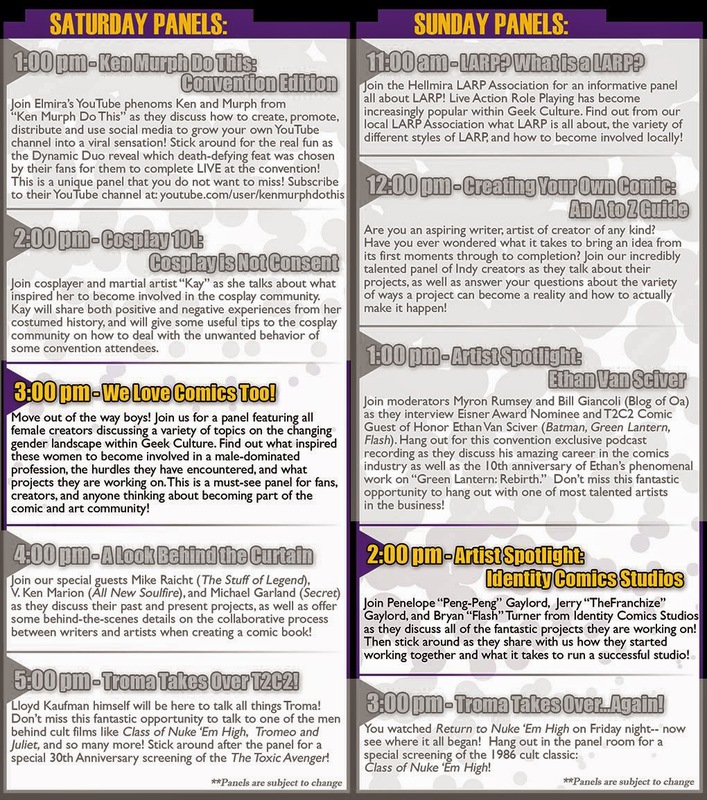 so this weekend we're headed all the way up Elmira, NY again for Twin Tiers Comic Con! it was called Hero Bot Con last year, but now they've expanded and added an extra day to their show. yay for wanted growth! =) the ID STUDIOS crew and i did an exclusive print for them, which was a tribute to the most recent Captain America flick. in hindsight, we probably should've done a Guardians of the Galaxy something cuz of the timing. but whatevs. 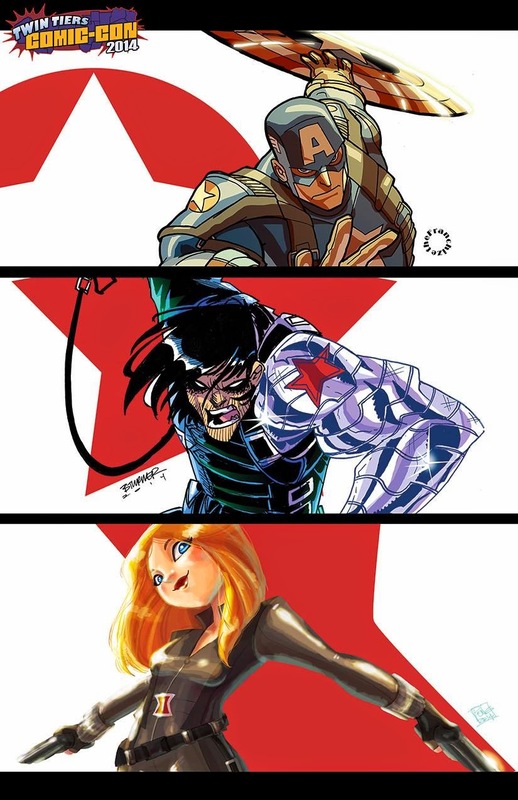 theFranchize drew Captain America, Flash drew the Winter Soldier, and i of course drew Black Widow. you can get the full print if you were to go up there. 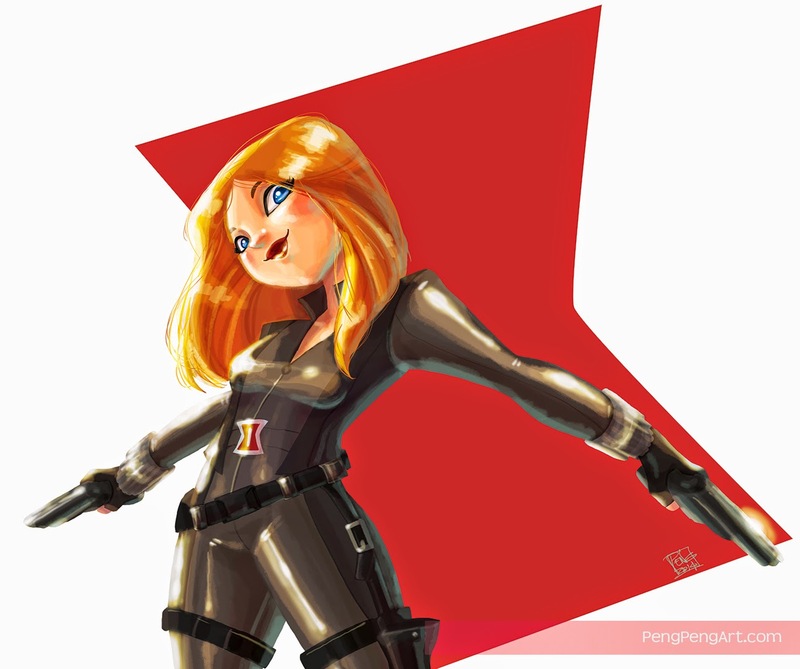 but here's my Black Widow.